One day, Peter and Leisa decided to go mud crabbing and fishing in Port Alma, Australia. The couple decided not to take their boat across the main shipping channel because they had had fuel problems on their last boat trip. Instead, they stayed close to land throughout their journey. 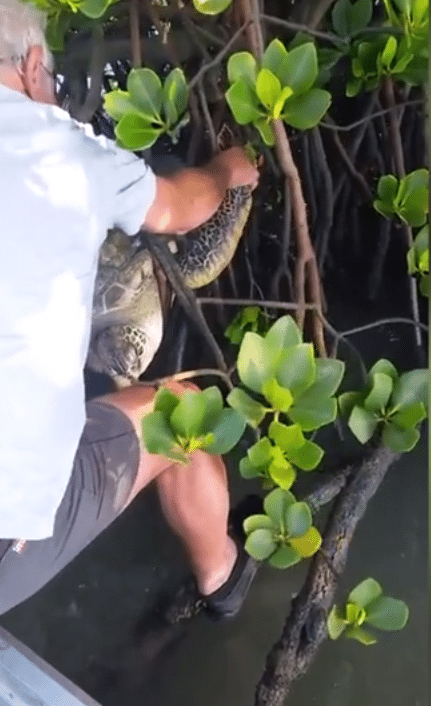 This fateful decision led to them rescuing a trapped sea turtle! 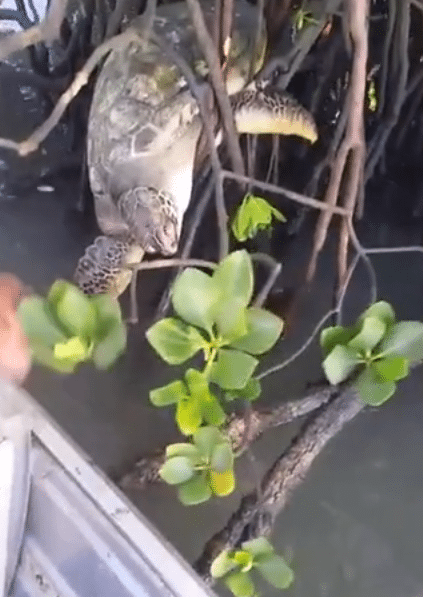 While Peter was dropping one of his crab pots, Leisa noticed an animal stuck in the mangroves. They got a little closer, and they realized it was a turtle. The poor turtle was completely stuck with no way to get out on his own. Leisa wanted to help the turtle, but Peter wasn’t sure if that was a good idea since there were a lot of crocodiles in the area. Leisa insisted that they help the turtle, so they checked for crocodiles and then began the turtle rescue. Peter had to be very careful during the rescue. If he made a wrong move, he could have easily damaged the turtle’s flipper. Peter carefully broke the branch that was sitting on the turtle’s flipper. Then, he lifted up the branch above the turtle’s shell. 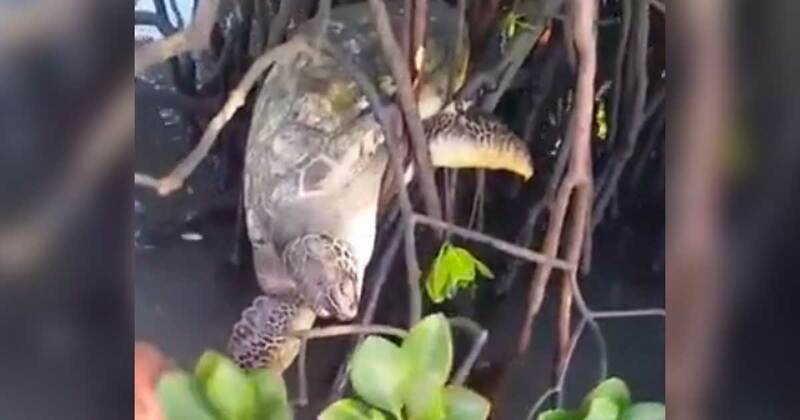 The turtle slipped out of the mangroves and into the water. Peter and Leisa did an amazing job freeing this poor turtle. Check out the whole rescue in the video below!